A managed switch gives you full control and secure management of your network. Features like TACACS+, SNMPv3, SSH and SSL make the convenience of remote maintenance absolutely secure. 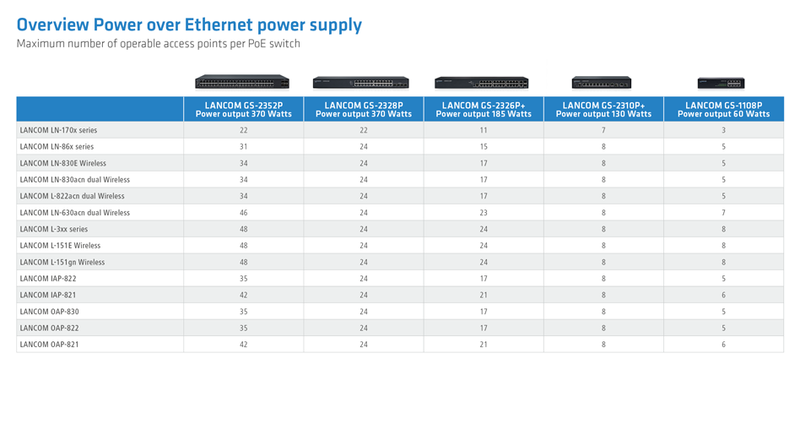 Our managed switches are also available as PoE versions supporting IEEE 802.3at/af-compliant Power over Ethernet. 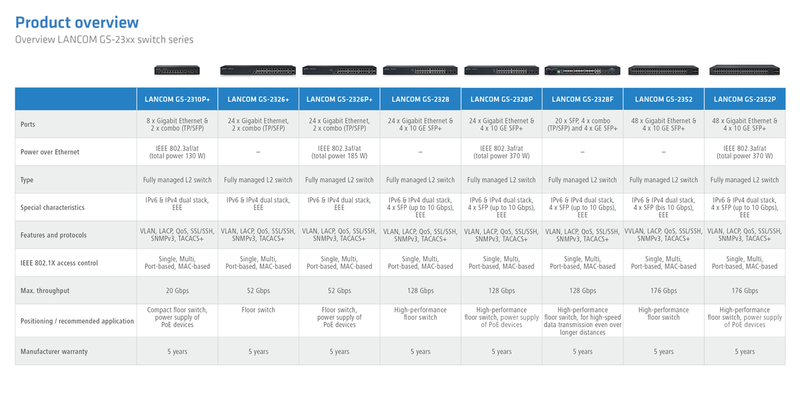 Thanks to the dual-stack implementation, our Ethernet switches operate in pure IPv4, pure IPv6, or in mixed networks.